Cruises are great: Ocean and river views couldn't be more romantic, sunset seduce, and you're transported from port to port without having to pack or shlep bags. And, of course, someone comes in and makes the bed every day. Yet a cruise isn't the best kind of vacation for everyone. On a honeymoon or romantic getaway, it may not afford you the privacy that you want. Or its hidden fees may bust your budget. Before you go, find out what's not to love about cruises. Standard cabins on cruise ships are smaller than the smallest hotel room (with the exception of those pod hotels in Japan). Although they're well-designed, you are still likely to bump into each other in your own stateroom several times during the cruise, but ​since you're in love, you probably won't mind. Advice: Pay attention to a cabin's square footage before booking, get the biggest you can afford, and pack light. Thirsty for a beer or soda? It costs extra. (Although some cruise lines include wine at dinner.) Feel like a spa treatment? That's extra. Want to eat in the fancier onboard restaurant? Cough it up. Prefer a special cocktail or bottle of wine with dinner? Extra. Think that tips are included in the cruise price? Think again. While every cruise line is different, most charge extra for all these things, which definitely add up. Advice: Ask your travel agent if any cruise lines offer a shipboard account credit to induce you to book. And if you like to drink beer, soda or wine, buy a drink card onboard. It's nice to have a professional portrait taken when you're dressed in your best. On a cruise that will be one of many, many opportunities to have your picture taken. Expect paid paparazzi to snap when you board the cruise when you get disembark in each port, when you eat, and when you participate in various activities. These shipboard lensmen represent one more way cruise lines try to squeeze extra cash out of you. Advice: Don't stop for photos; walk right past the photogs. Take your own pictures. Large cruise ships hold up to 3,000 passengers or more. Feeding them 3x a day, plus snacks and midnight buffets isn't an easy job. On many ships, there is one main restaurant and a self-serve cafeteria. Food is plentiful but does not compare to the best restaurants on land. Some ships have additional restaurants that charge an extra fee. Their fare is superior to what passengers in "free" restaurants eat. We've all seen Titanic and know what it looks like when a ship breaks apart in the North Atlantic. Fact is, even if Leo DiCaprio was wearing his lifejacket, it's doubtful he'd survive long in those frigid waters. Every cruise today starts with a safety drill that requires all passengers to attend. Sometimes it's a video you must watch in a lounge, sometimes you'll be expected to stand on deck, crammed in wearing bulky lifejackets and listening to unintelligible commands over the loudspeaker. It's a required ​safety measure, but it's still annoying. Advice: Grin and bear it. Every cruise line attracts a different demographic, but the average age of ocean cruisers is in the 50-60 range. River cruises attract an even older age cohort. That means you may spend a week with many folks who are your parents' age or older and you may not have much in common with them. Still, on any given cruise, there will be people of every age group represented. Advice: Everyone gets old. 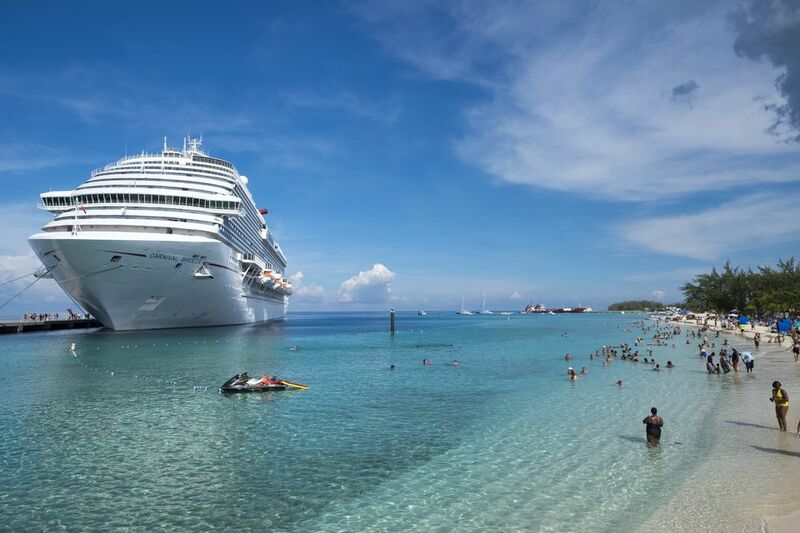 Consider your cruise a preview. Every cruise ship aims to get high grades for service, and much is invested in training the crew. Sometimes foreign staffers tend to go overboard in their efforts to please. In a restaurant on one ship, we were asked the same question five times by mechanistic people-pleasers: "Did you enjoy your soup? Advice: Enjoy your soup. Once you get home, no one will care whether you like it or not. If the idea of sitting at a table with six strangers at the same time every night and making conversation doesn't appeal, choose a cruise line such as NCL, Princess, or Viking where you have dining flexibility. Otherwise, your new best friends will save a place for you at the same table every night. Advice: If you prefer to dine by yourselves, tell your travel agent to get you assigned to a table for two. There are a few in every dining room. Another revenue-grabber for cruise lines, excursions range from the sublime (helicoptering to the top of a glacier) to the ridiculous (touring a completely uninteresting port for hours in a school bus). A convenience for passengers who aren't familiar with a destination, excursions are useful in that they provide ready transportation to a land adventure. Advice: Get off the ship and explore on your own. Hire a taxi. Share the cost with new friends. Or book a cheaper tour; they're usually available online or close to the dock. Most nightly cruise ship entertainment is stuck in the 1950s. Young, energetic, not-ready-for-primetime performers sing and dance their hearts out in lowbrow themed variety revues designed to appeal to everyone. They don't. Outside of the ship's main theater, there are sometimes jazz, piano, or comedy performances. These tend to be better although they still aim to appeal to the widest audience and not offend. Advice: Skip the big productions. Avoid harpists at all costs. Either download some new movies or create your own entertainment. Like Small Ships? How About a Mediterranean Yacht?